Evan Ribiero, a.k.a. 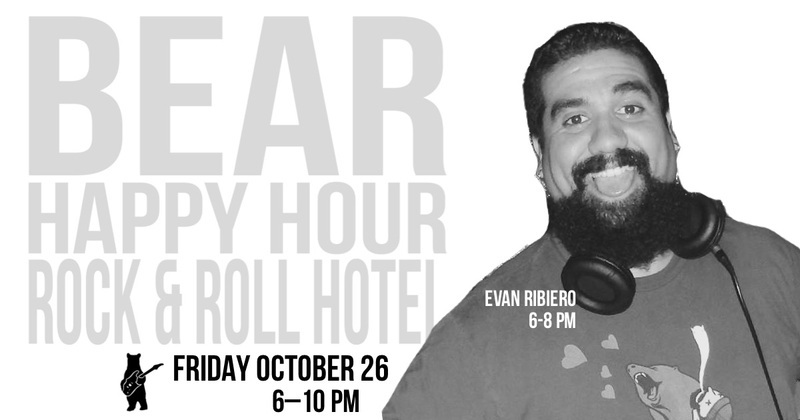 DJ Say What?, is joining Bear Happy Hour at Rock & Roll Hotel for his first time following a successful stint as DJ for DC Bëar Crüe Bear Happy Hour at Town Danceboutique. He will be closing the DJ season for our Halloween party, but he isn’t doing a holiday music theme.